Vintage hand drawn design elements set 4. Vector illustration. Hipster doodle mega set. Vector illustration. Chemistry. Hand drawn. Vector illustration. Colorful. Geography colorful doodles. Hand drawn. Vector illustration. 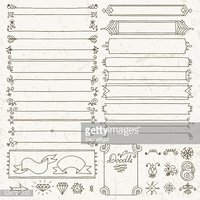 Vintage hand drawn design elements set 1. Vector illustration. Food funny cute doodle set. Hand drawn vector illustration. Cute animals circle icon set. Vector trendy illustrations. Vector hand drawn collection of lush bows and confetti. Vintage. Vintage scroll banner collection. Ribbon set.